This combo is different then our others. 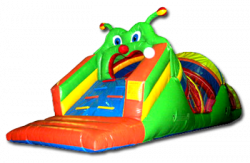 It has 2 separate bouncy areas and 2 slides. Price: $174.00 per 4 / hrs.$174.00 per 1 / hrs.